The PWHAT show tomorrow April 20 will be delayed for one hour to allow the rain to move out of the area. Versatility classes start at 11 am and rail classes start at 12 noon. The Pleasant Valley indoor arena will be nice and dry! We hope to see everyone there!! 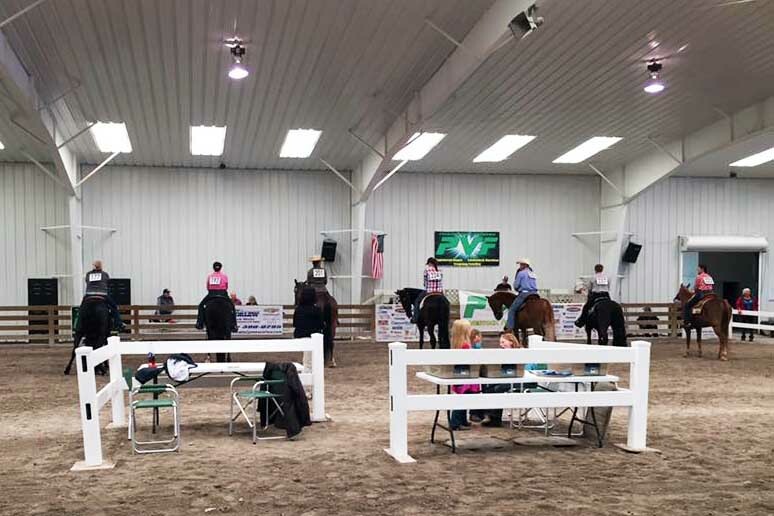 We are looking forward to our first Fun Show on April 20 at Pleasant Valley Farms with Versatility and Academy classes starting at 11:00 and rail classes starting at 12:00. Come on out and join us! The attire is casual (long pants, collared shirt and boots) and we have a warm dry place to show regardless of the weather. Food will be provided by Rowdy Ranch. •added Academy 11 & Under, Academy 17 & Under, Academy 17 & Under Equitation. Previous PostTurn In your Pinnacle Coupons and Win Prizes!